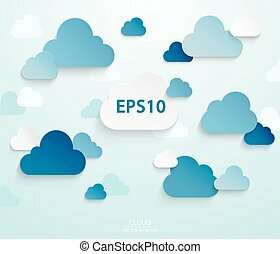 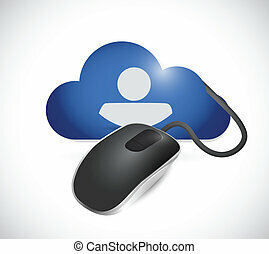 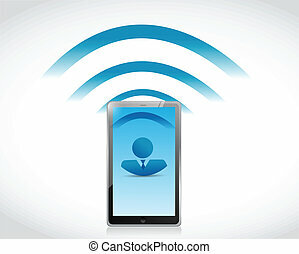 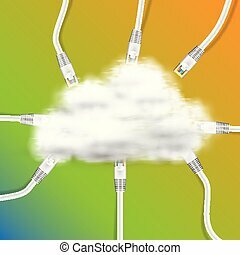 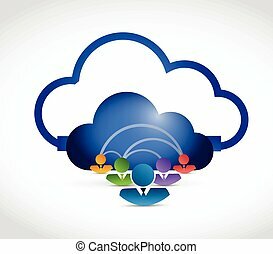 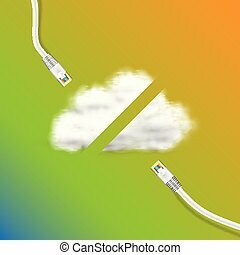 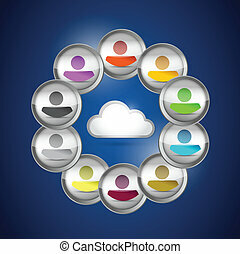 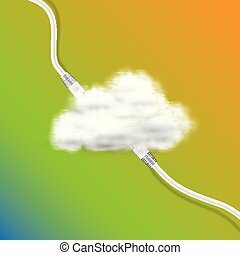 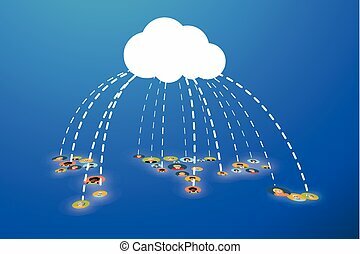 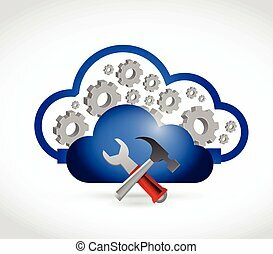 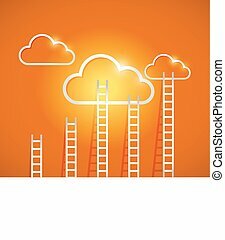 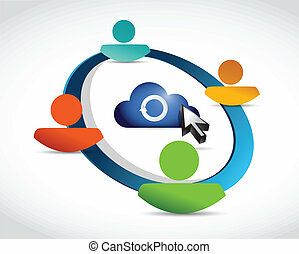 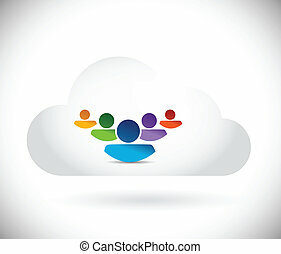 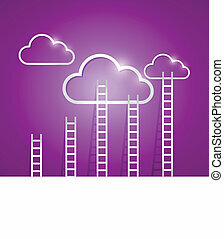 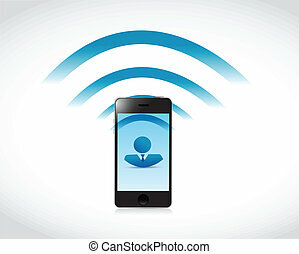 Cloud people connection illustration design over a blue background. 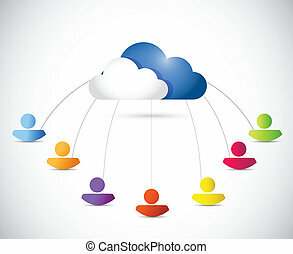 Cloud Connection Shadow are made with transparency set to Multiply. 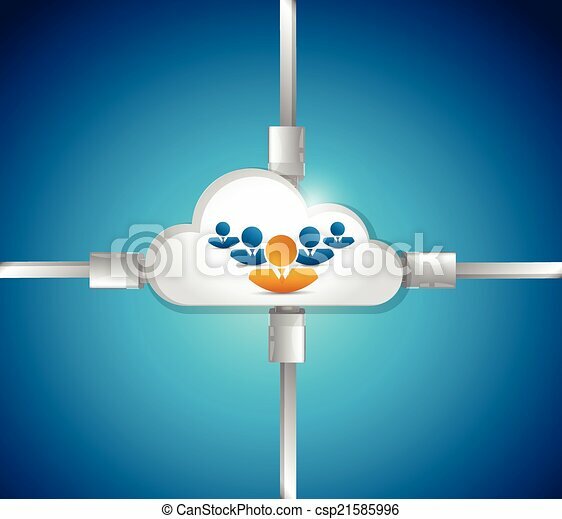 Network vector icon. 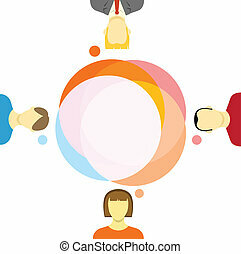 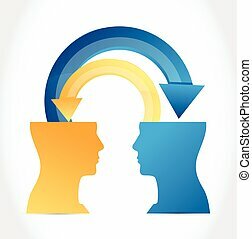 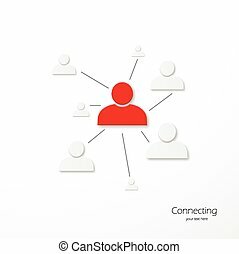 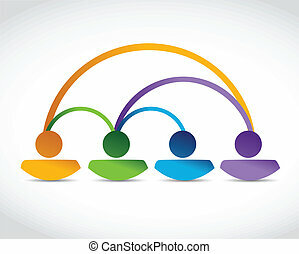 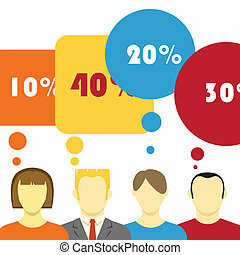 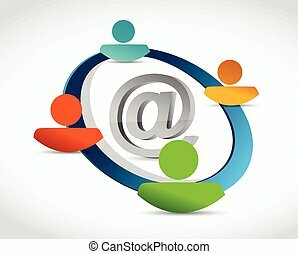 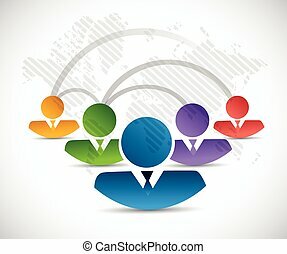 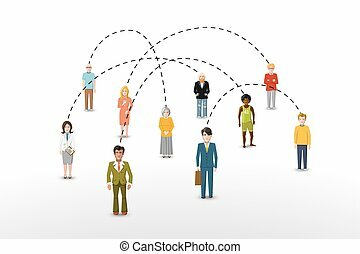 People connection vector illustration.